199 Commonwealth is located on the north side of Commonwealth, between Exeter and Fairfield, with 197 Commonwealth to the east and 203 Commonwealth to the west. 199 Commonwealth was built in 1890-1891 by McNeil Brothers, carpenters and builders, as the home of wool merchant James Arthur Beebe and his wife, Emily (Appleton) Beebe. They previously had lived at 83 Beacon. They also maintained a home, Tanglewood, in Falmouth. J. Arthur Beebe purchased the land for 199 Commonwealth on November 11, 1886, from the estate of Henry Purkitt Kidder, co-founder of the investment banking firm of Kidder, Peabody & Co. He had died in January of 1886. His estate had purchased the land from the Commonwealth of Massachusetts on April 30, 1886. Click here for an index to the deeds for 199 Commonwealth. On June 25, 1888, J. Arthur Beebe entered into party wall agreements with Thomas M. Rotch, owner of 197 Commonwealth to the east, and Leopold Morse, owner of 203 Commonwealth to the west. J. Arthur Beebe apparently planned to begin construction soon thereafter. 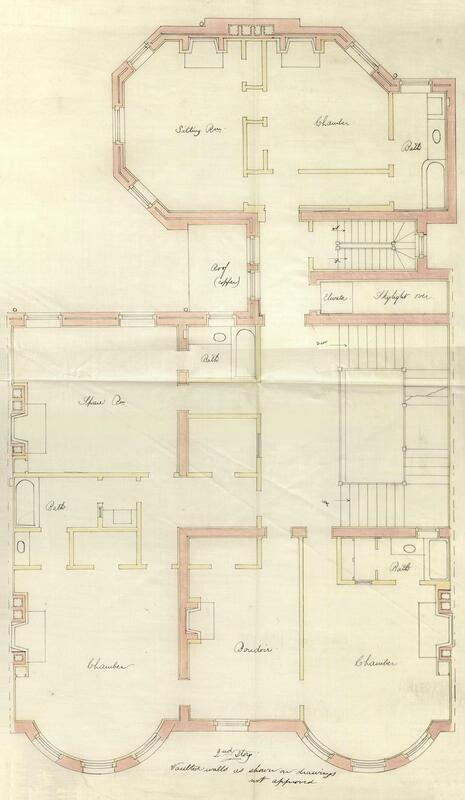 Information provided to the St. Botolph Club by architectural historian Richard Guy Wilson indicates that the billing records of McKim, Mead and White show that they entered into a contract in about August of 1888 to design the house and subsequently were paid for the work (Charles McKim’s deceased wife, Julia Amory (Appleton) McKim, was Emily (Appleton) Beebe’s first cousin). The house was not immediately built, however. 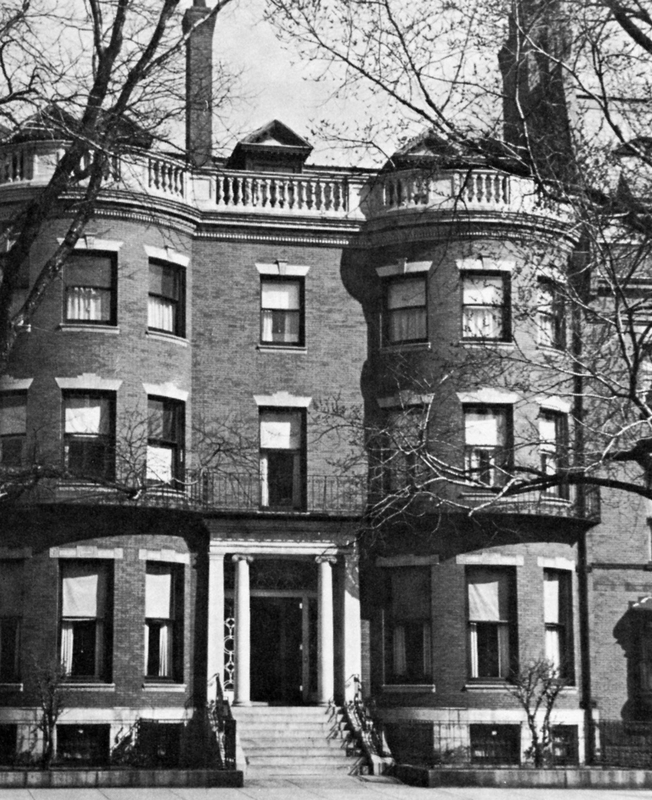 Construction did not begin until October of 1890 after approval of the permit application filed on October 4, 1890, with the design presumably based on the plans prepared by McKim, Mead and White, which is credited with the design in Bainbridge Bunting’s Houses of Boston’s Back Bay and in numerous other sources. The work was executed by architect James T. Kelley, who is shown as the architect on the original permit application quoted in the October 4, 1890, issue of The Engineering & Building Record and on the final building inspection report, dated December 28, 1891. 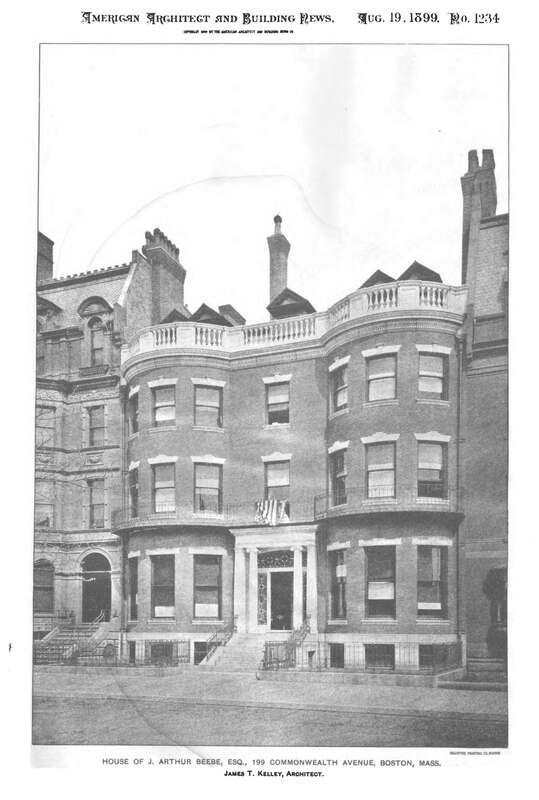 He also is credited as the architect in an illustration of the house which appeared in the August 19, 1899, issue of the American Architect and Building News and in the catalogue for the 1899-1900 Annual Architectural Exhibition of the T Square Club in Philadelphia. At the same time he was working on 199 Commonwealth, James T. Kelley designed (and McNeil Brothers built) 416 Beacon, a house with many similar architectural features to 199 Commonwealth. The Beebes’ three children — Arthur Appleton Beebe, Emily Esther Beebe, and Charles Philip Beebe – lived with them. Arthur Beebe, a physician, committed suicide in March of 1900. During the 1905-1906 winter season, the Beebes were joined at 199 Commonwealth by Mrs. Amy Gore (Walker) Iasigi, the widow of shipping merchant Oscar Iasigi. She had lived at 54 Beacon during the previous season. She had moved by the next season, and by the 1907-1908 season was living at the new home she had built at 76 Beacon. In about 1906, Charles Philip Beebe left his studies at Harvard and went to California. By 1910, he owned a farm at Hood River in Oregon. Emily (Appleton) Beebe died in March of 1911. J. Arthur Beebe and their daughter, Emily Beebe, continued to live at 199 Commonwealth. During the 1912-1913 winter season, Dr. Elisha Flagg, a physician, and his wife, Eleanor Amelia Marguerite Cecilia (Shattuck) Whitney Flagg, also lived at 199 Commonwealth. They previously had lived at 164 Marlborough. They moved to 261 Marlborough for the 1913-1914 season. Emily Beebe died in July of 1913, a suicide, and J. Arthur Beebe died in November of 1914. 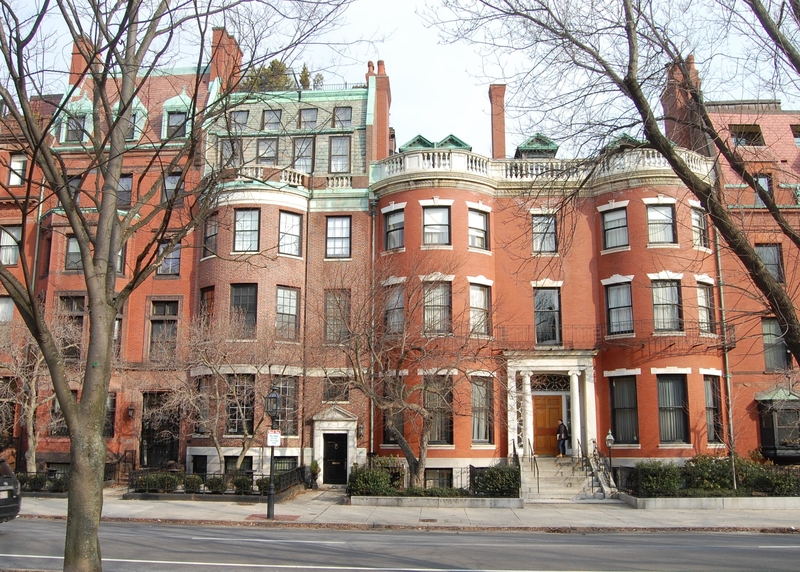 Charles Philip Beebe returned to Boston soon thereafter and by 1917 was living at 291 Marlborough. By the 1914-1915 winter season, Elisha and Eleanor Flagg had resumed living at 199 Commonwealth and on March 28, 1916, they purchased the house from Harvard. They continued to live there during the 1920-1921 season, but had moved to 192 Marlborough by the 1921-1922 season. On June 8, 1921, 199 Marlborough was acquired from Elisha Flagg by real estate dealer Henry C. Brookings. Six days later, on June 14, 1921, 199 Commonwealth was acquired from Henry Brookings by the Boston Safe Deposit and Trust Company, as trustees of a trust established by wholesale coal merchant Phineas Warren Sprague for the benefit of his wife, Elizabeth Sumner (Shaw) Sprague, and their children: Phineas Shaw Sprague, Charles Gordon Sprague, Elizabeth Shaw Sprague, and Sally Sprague. They previously had lived at 471 Commonwealth. They also maintained a home in Prout’s Neck, Maine. 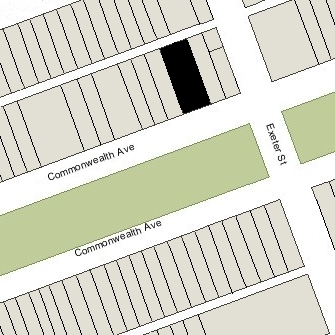 By 1929, Phineas Sprague also owned 203 Commonwealth, next door (which is shown as owned in trust by the Old Colony Trust Company on the 1928 Bromley map). He remodeled the house in 1929 and it became the home of his son-in-law and daughter, Daniel Simonds, II, and Elizabeth (Sprague) Simonds. Phineas Sprague died in June of 1943. Elizabeth Sprague continued to live at 199 Commonwealth until her death in December of 1970. 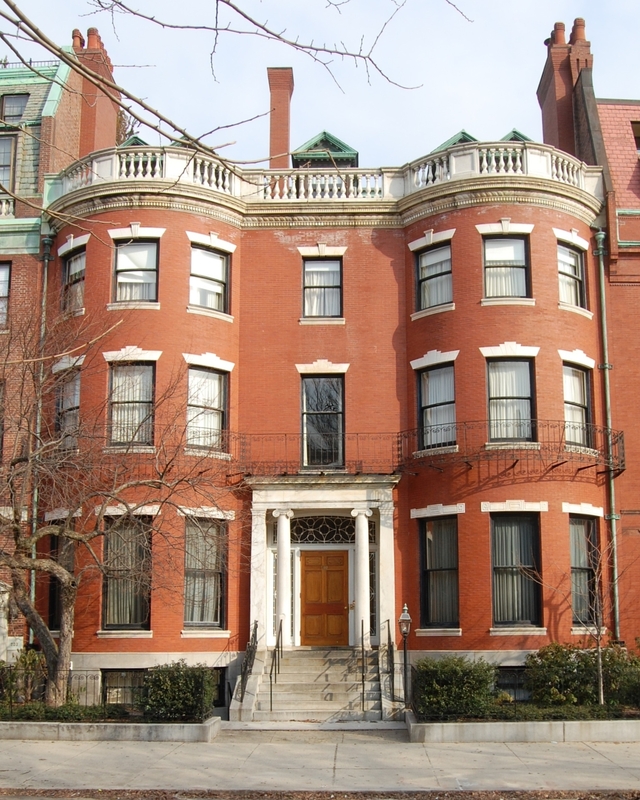 On July 12, 1971, the St. Botolph Club purchased 199 Commonwealth from the Boston Safe Deposit and Trust Company, as trustees for the Sprague family. The Club moved there in 1972. It previously had been located at 115 Commonwealth and, before that, at 4 Newbury. In March of 1982, the Club filed for approval to construct a one-story rear addition to permit expansion of its kitchen. The application was approved by the Board of Appeal on March 19, 1984, but the permit was abandoned and refiled in May of 1985, with the plans revised to provide for a two-story addition. The revised application was approved (in reliance on the previous Board of Appeal decision) and the project apparently was constructed during 1986 (the final inspection was in January of 1987). 199 Commonwealth remained the St. Botolph Club in 2015.